As the holidays are upon us, talk turns easily to traditions. Everyone has fun stories of family gatherings, favorite recipes and favorite memories. The Thanksgiving tradition even includes whether or not you will participate in the sport known as “Black Friday” or you might test your shopping skills on “Cyber Monday” or both! It is all part of the tradition…. But there is a movement underway that is enhancing Thanksgiving, and it’s surrounding days. It is quickly catching on as part of the tradition. It is called #GivingTuesday. Notice the hash tag is part of the name…it’s a social movement….with global impact. It’s pretty cool. One of the great things about this effort is the amazing way nonprofits are working together. The competition for charitable dollars is big, but at our cores, we are all working to have a positive impact on our communities. So together, we are working to raise awareness of how communities can come together and have big impact. Many of us have a charity of choice (and hopefully if you are reading this, we are your charity of choice…or one them) and the purpose of #GivingTuesday is to encourage people to give back to their communities. So after you have feasted with friends and family, and maybe saved big time, whether in stores or online, I hope you will consider making #GivingTuesday part of your tradition. And if you do, we would love to see your “unselfies” telling us why you give! You can find us on Facebook, Twitter and Instagram…we hope to see you there! This entry was posted in Uncategorized on November 18, 2014 by Easterseals. As many of you may already know, the Bucks Division has expanded programming to include typically developing children in our new Friendship Academy classroom! 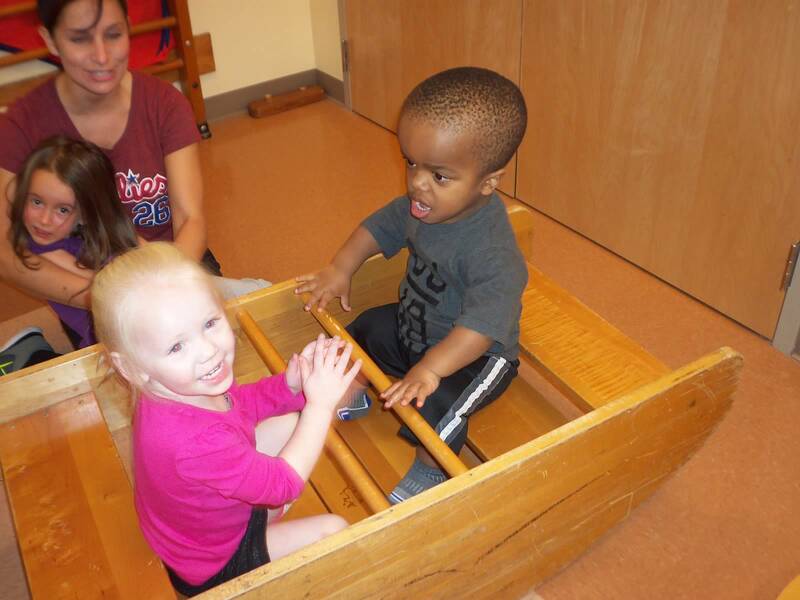 One thing we can say for sure about all of the children at Easter Seals is that they love to play in our gym. The children from our APS program head to the gym to work on their gross motor and play skills, and nothing is more motivating than playing with their new friends from Friendship Academy. It is always nice to take a break from the classroom and expend some energy moving and grooving in the gym. 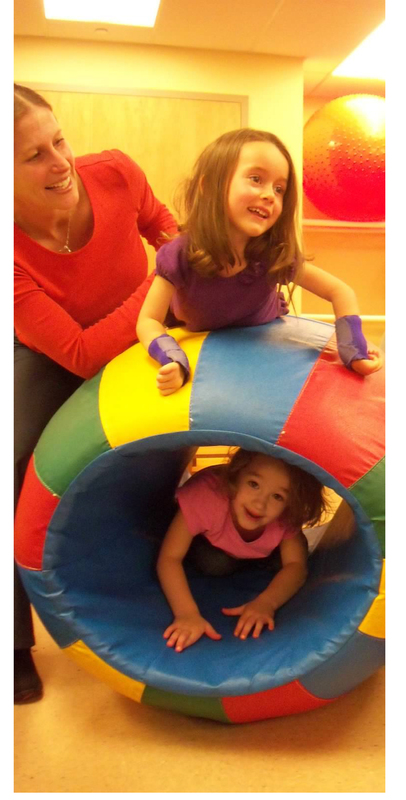 Under the guidance of Sue Lowenstein, Physical Therapist, and with the help of several staff including Laura Dettore, Teacher, our kids explored lots of fun equipment such as our moon bounce, our large colored barrel, our wooden rocking boat, our indoor slides, and much much more!!! Smiles and laughter are heard all around! Sue Lowenstein is a part time physical therapist who has been employed with Easter Seals of SEPA – Bucks County Division since 2001. She is a resident of Levittown who is busy raising and playing with her own 3 daughters when she is not having fun at work! This entry was posted in General info, Tips from therapists and tagged Approved Private School, Bucks County, Easter Seals, gross motor, inclusion, inclusive preschool, physical therapy on November 6, 2014 by Easterseals.